Donations to local civic and school groups. Requested donation amount may vary. Limited handicap parking is available at the main fairgrounds entrance. Service dogs allowed. Limited kennels available on-site. All shuttle buses will operate from 8:30 AM to 6:30 PM on Saturdays and 8:30 AM to 5:30 PM on Sundays. 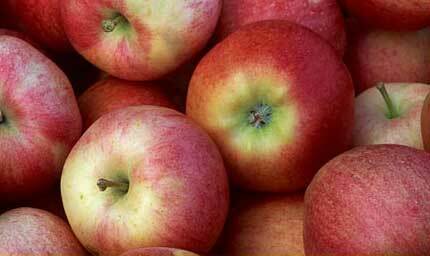 Parking is very limited at the Lions Club Fairgrounds, so please use the shuttle parking areas where a free shuttle service will take you to the Apple Festival and back to your car when you are ready to leave. 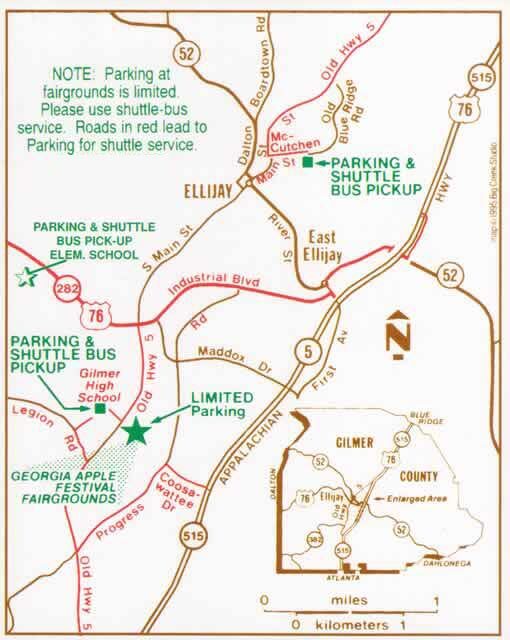 The shuttle parking areas are located at Gilmer High and Middle Schools, Ellijay Elementary and Primary Schools, and Mountainview Elementary School. 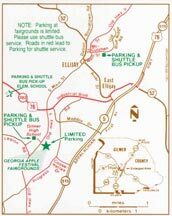 The shuttle bus routes and the shuttle parking areas are marked on the map to the right.